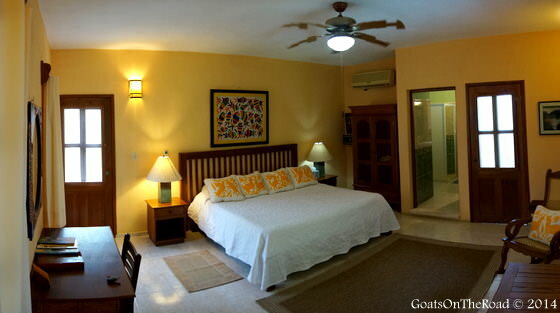 Hotel Boutique Casa Quetzal is situated in the ideal location. A quiet backstreet right next to the San Bernardino Convent in one of the more secenic parts of Valladolid. 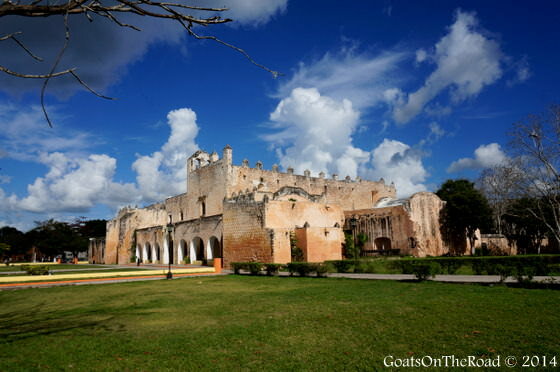 You first enter through a brightly colored gateway and as you step behind the walls of the old home, you are surrounded completely by jungle. Reception greeted us warmly and walked us up to our room which overlooks the pool area. We stayed in the Junior King Suite and it was beautiful. The decor and furniture was thoughtfully planned, leaving enough space as to not be crowded, but enough to keep the room from looking bare. The bed was extremely comfortable and the bathroom was filled with all of the necessities including completely organic shampoos, soaps and conditioners. The shampoo was actually made from organic honey! We were greeted by the owner, Judith, when we first arrived but didn’t see her for the remainder of our 3 nights at the hotel. Since this isn’t a B&B, we weren’t really expecting the owner to be hands-on with her guests. Casa Quetzal is a boutique hotel and guests have full access to the kitchen which is a definite bonus for anyone hoping to cook their own food or blend their own margaritas! The entire home surrounds the stunning central garden and we spent much of our time at the hotel in the pool, which is always refreshing because it is in the shade for most of the day. Leaves and sticks are constantly falling into the pool but the friendly staff do a great job of keeping it clean throughout the day and if they see you near the pool they usually rush over to give it a quick skim. The eight comfortable rooms here cost between $65 – $85/night, including wi-fi, private bathroom with hot water, air conditioning and access to the pool and kitchen. 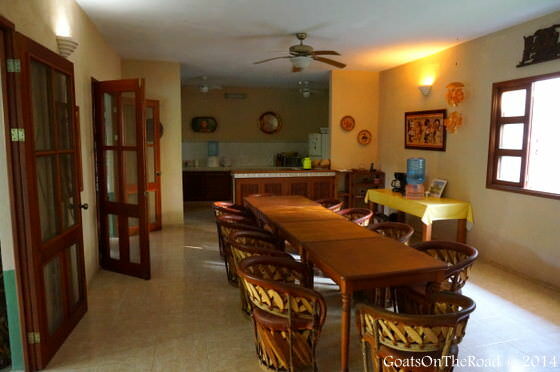 Breakfast is not included in the room cost, but the rooms themselves are priced considerably cheaper than others of their class in Valladolid. 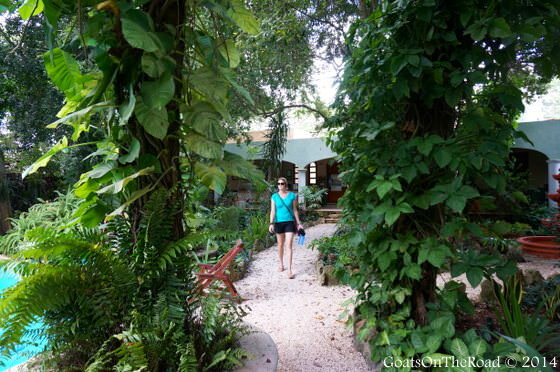 The plants, trees and flowers at Casa Quetzal are gorgeous! Some of the best restaurants in town are right on Casa Quetzal’s doorstep including Yerba Buena, a delightfully fresh vegetarian restaurant that serves up a delicious daily special for 90 pesos that includes a soup, a main course, a fresh fruit drink and desert. Definitely worth stopping in for lunch here if you’re staying at Casa Quetzal. 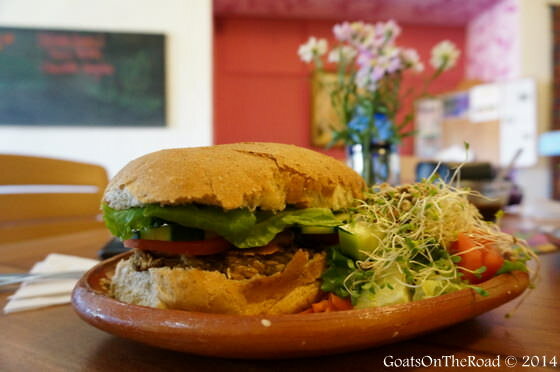 Don’t forget to eat at Yerba Buena when staying at Casa Quetzal! 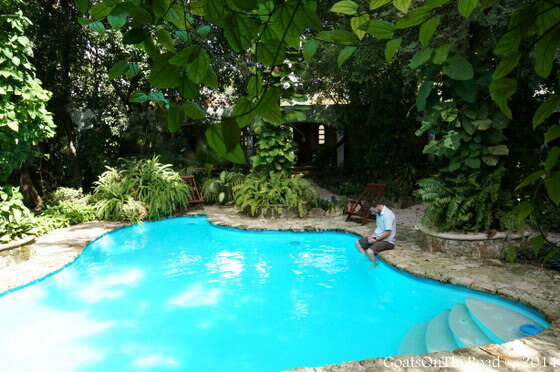 Overall, we had an excellent stay at Casa Quetzal. The nights were cool and quiet and the bed was extremely comfortable. The staff and facilities were superb and you really can’t beat the location. 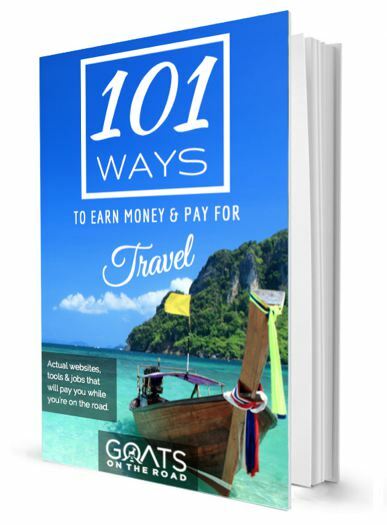 The rooms are priced well and they are definitely worth the money. We would recommend Casa Quetzal for anyone looking for mid-range to top-end accommodation in Valladolid. Look good to you?! 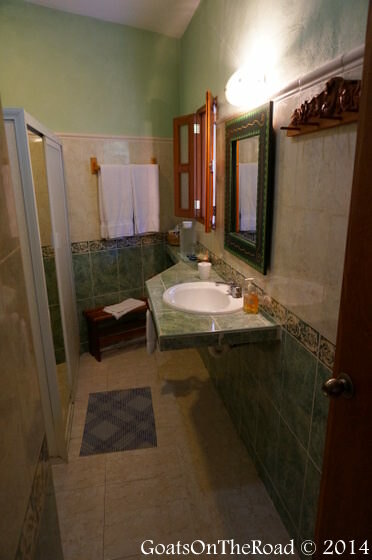 Click here to easily book your stay at Casa Quetzal now. 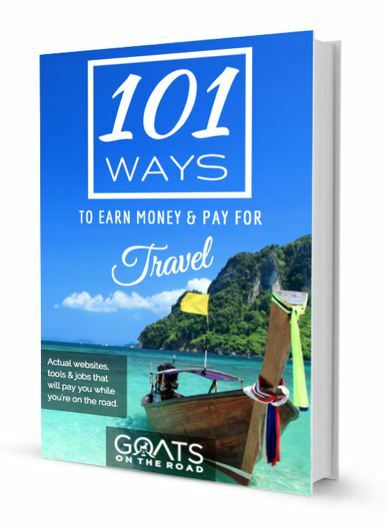 Have you stayed in a Boutique Hotel before? Share with us below! 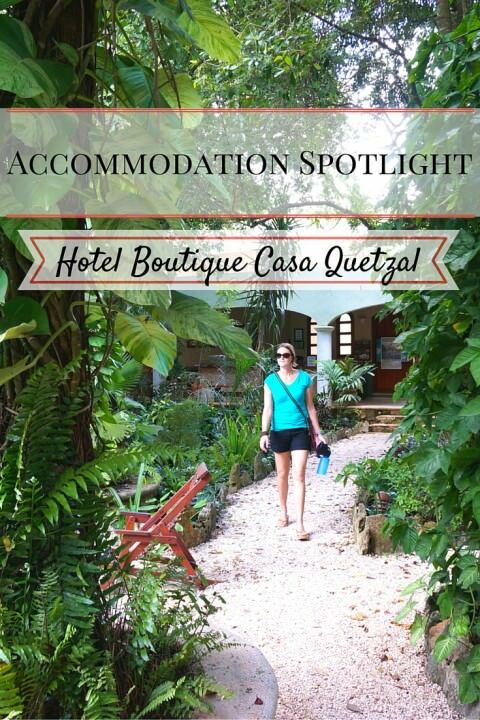 Although Hotel Boutique Casa Quetzal hosted us for 3 nights during our stay in Valladolid, we weren’t required to write a positive review. As always, all thoughts and opinions remain our own! Now that’s a boutique i want to stay in!